WASHINGTON – Arizona is one of 12 states that will share in $14.5 million worth of grants aimed at helping communities deal with a changing energy industry that has seen a decrease in demand for coal. The Partnership for Opportunity and Workforce and Economic Revitalization Initiative funding released Thursday includes $147,900 for the Navajo Nation and $327,300 for the Northwest New Mexico Council of Governments Economic Development District, which includes part of Arizona. “These grants will help each community create new jobs, diversify its economic portfolio and better compete in the 21st century,” said Commerce Secretary Penny Pritzker during a conference call announcing the awards. The administration hopes the POWER Initiative is just the beginning of a much broader effort, noting that President Barack Obama has asked Congress to include $10 billion in the fiscal 2016 budget to invest in coal communities and technology. Jeff Kiely, the executive director of the Northwest New Mexico Council of Governments, called Thursday’s announcement “a very good start” on what he agreed should be “the beginning of an ongoing process” to help coalfield communities. Kiely’s organization will use its grant to coordinate “a study to assess current and future impacts of the coal industry in the San Juan (River) Basin,” which includes parts of Arizona, New Mexico, Colorado and Utah. The Navajo Nation grant is targeted for developing “an economic recovery strategy to address negative impacts associated with job losses from closures of coal mines and future closure of a coal-fired power plant,” according to a White House statement on the initiative. Navajo officials did not immediately respond to a request for comment on the grant Thursday. 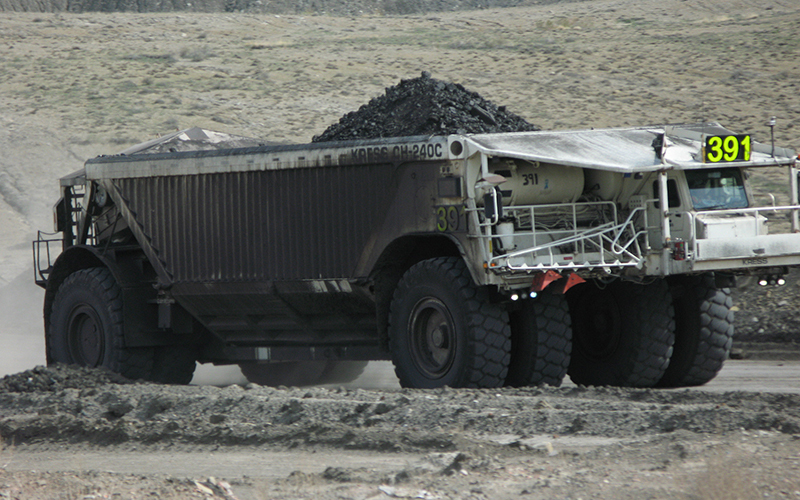 Officials in the Commerce Department’s Economic Development Administration said the Navajo grant addresses two coalmines on the reservation – the Peabody and PNM – that were closed when the Mohave Generating Station in Nevada shut down in 2005. One official said the grant also takes into account schedule reduction in operations at the Navajo Generating Station in Page. The Economic Development Administration will be the lead agency fo the grants, which are being awarded for both project planning and implementation, Pritzker said. The funding will come from the budgets of the departments of Commerce and Labor as well as the Small Business Administration and the Appalachian Regional Commission.